As avid cyclists for many, many years and in the cycling business as a film stunt coordinator, bike builder and tour operator for two decades, Dreamride collects rare components and offers an eclectic selection of collector's parts and bicycles. This is a custom city bike meticulously made from a pristine vintage Manitou HT mountain bike racing.. 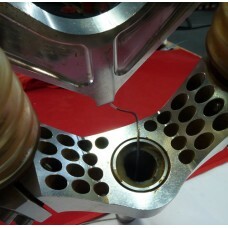 The Klein frame that is the heart of this custom build (serial number 258) was purchased by Lee Br.. 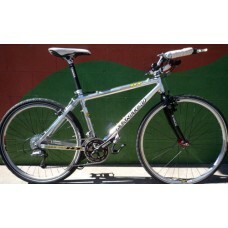 This Moots Vamoots YBB (circa 2006) is owned and offered by the company owner. It has an updated f.. 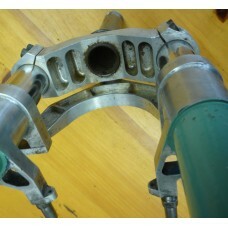 This vintage 1974 Campy bottom bracket is in excellent working condition, except for a deformed vi.. 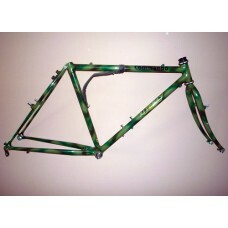 This vintage early 90's Manitou fork came off of a Mountain Goat mountain bike with the same paint.. 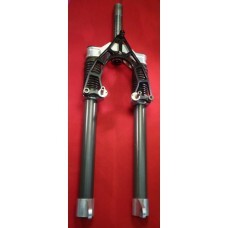 This is a mid-90's Manitou fork suitable for a rebuild or as a source of parts. Has knob adjusters.. The only stock item on this fork are the Rock Shox Mag 21 lowers. 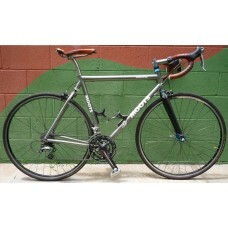 The rest is totally custom built..
Doug Bradbury made the stantions and dropouts in his garage. The rest of this fork is made of cust.. This is a vintage 1974 Campy Record crankset in very good condition. Chainrings show little wear. .. 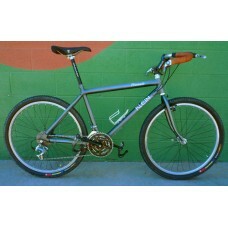 This was the very first Ritchey Commando with the very first Ritchey unicrown fork to be sold. C.. 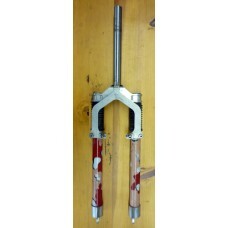 This is a 1974 vintage Campagnolo Record seatpost. It is in very good condtion, though it could us.. This is a pair of vintage 1974 Shimano Dura Ace downtube shifters. Complete. In excellent used con.. 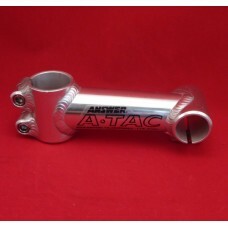 This vintage Answer mountain bike stem is for a 1 inch steerer. It is very clean and looking for a.. 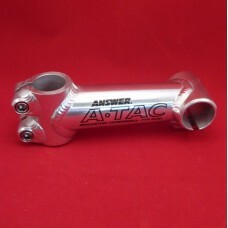 This stem is vintage Answer. It is slightly used, but in great shape. 120mm. O degree. Overbuilt a.. 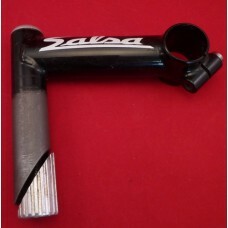 This vintage 1990 Salsa stem was made by Salsa back in the day to extremely high standards. It has..